On Monday morning my brain waved at me and I had a further idea. Make my earth circle bigger and place it on the floor. So simple yet took so long to get there. Beneath our feet. THE EARTH. Use that large piece of board that’s been hanging around waiting for this time. 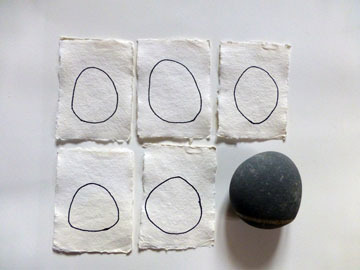 How to draw a large circle: string and chalk – memories from childhood. Where is my protractor? I’d love one of those large wooden protractors made for blackboards. I can see my maths teacher using one in my mind’s eye. The eye of the earth. Gaia watches me. Making mud, such a strong connection with the earth. Same feeling I get from working on the allotment. Balance, steadiness. Qualities needed for a good life. Periods of quiet, silence, pauses during the day – these too encourage less swinging of the emotions and give time to pay attention – to onself, to the world around one, to the leaf flapping outside the window, to the bird hopping from branch to branch, time to reflect and consider. I look at the church floor. 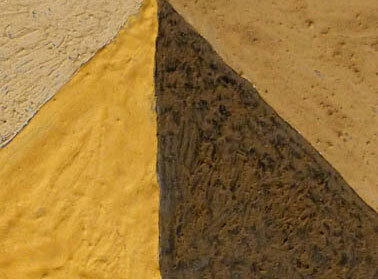 Tiles, the colour of sand and earth. The colours of the soils I am collecting from Rock a Nore, Quarry Road, Glyne Gap. They fit together, a simple pattern. The tiles in the entrance, Quarry tiles, orange and black, tessellated. 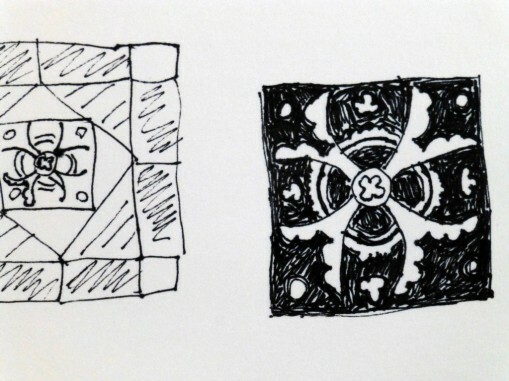 I sketch patterned tiles near the Font. 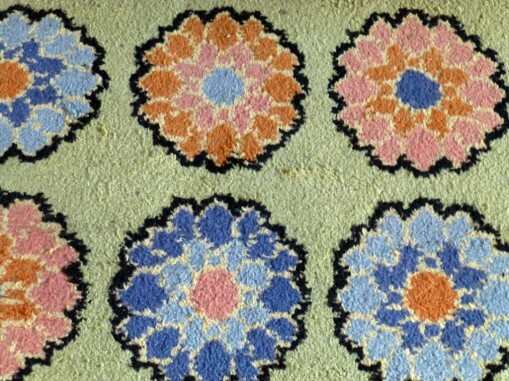 The carpet leading to the altar has simple but colourful flower shapes. Patterns drawn from the natural world. Earth flowers.